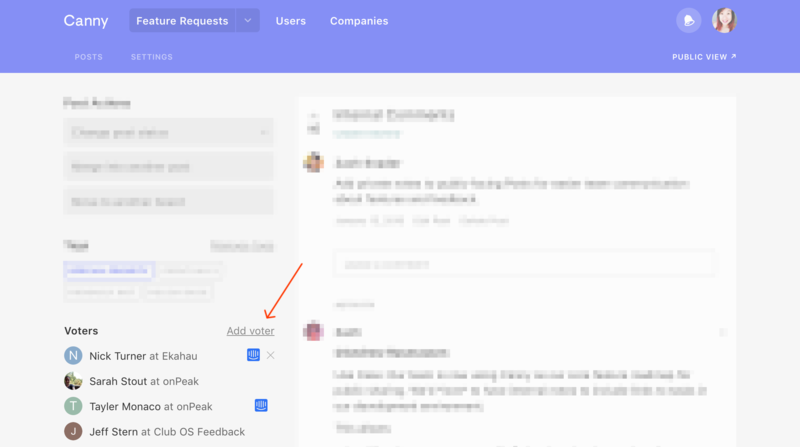 In your admin view, the voters panel on each post allows you to manually add voters. Type in who expressed interest in that post. Canny will suggest existing users if the name matches. Will they get status update emails? When you add a manual voter, you have the option of adding an email address. We will send them an email update when you change the status of the post.